JANUARY 22, 2015 – WILSON NC – NC CERT will be holding our annual Human Remains Detection Seminar from April 23-26, 2015. For more information please download the following documentation. Completed forms should be emailed to HRD2015@NCCERT.ORG. Sandra Lesko – Sandra has been employed by the Willoughby Hills Fire Departments since 1982 and is now a retired full time Fire Captain from that department. She has also worked in Law Enforcement since 1990, currently a Deputy with the Geauga County Sheriff’s Office assigned to the K-9 Unit. Sandra Has been working with K-9’s since 1996 starting in the field of tracking but soon switched to Human Remains Detection (HRD) and has been working an HRD K-9 since 1997. Sandra has worked with the FBI Cleveland Division since 2002, working primarily on missing persons cases with her German Shepherds. Sandra is currently working her third K-9, Doc and her fourth K-9, EJ. 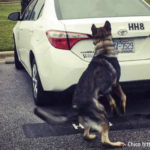 All four K-9’s have successfully located Human Remains and have indicated on blood evidence and small parts of human remains in several vehicles and buildings, which has ultimately linked suspects to the victims. Sandra’s K-9’s have also located Human Remains and bones in various locations, including several drowning victims. She travels around the State of Ohio and beyond where ever she is needed, including working Ground Zero on 9/11/2001. Sandra is a member of the North American Police Work Dog Association (NAPWDA), The Ohio Identification Officers (OIO), Ohio Law Enforcement Canine Association (OLECA), in addition to several other affiliations. Sandra continually attends schools on Death Investigation and other related classes, as well as, attends and teaches classes on K-9 Human Remains Detection. Michael Hadsell – Michael has been in the working and training of K9’s for almost 35 years. He is currently the Training Director for the Peace River K9 Search & Rescue Association and has brought almost 50 K-9s to National Certification. His career began back in Los Angeles California working with Law Enforcement and also providing K9 support for visiting VIP’s and Celebrities. 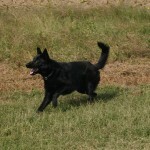 Since then Michael has competed in Schutzhund, KNPV, K9 Pro Sports and AKC tracking events. 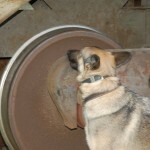 He is a member in good standing with the German Shepherd Dog Club of America and the Working Dog Association since 2001. Michael is also a member of the North America Police Working dog Association (NAPWDA) and member and competitor in the National Association of Scent Work (NACSW). He has also been a certifying Judge and Certified Bite Suit Decoy for the Service Dog Association. Michael’s philosophy of training addresses the total and balanced dog. He is not a proponent of ALPHA dog or Dominance theory training. Rather he uses motivational and positive training methods combined with Clear communication skills to build reliable behaviors. This avoids all the inadvertent problems that come with the aversive styles of training. Michael also continuously attends seminars by top trainers in this field so he can keep his skills at their best. Cpl. Chris Wood – Cpl. Wood has been with the Brevard County Sheriff’s Office in Jan. 2003 as a Corrections Deputy. He was a Field Training Officer (FTO) and promoted to Corporal in Sep. 2005. Chris has been a Bloodhound Handler from 2003 and a Cadaver K9 Handler since 2005. Cpl. Wood has received several awards for service with the Brevard County Sheriff’s Office for Cadaver K9 calls for service. Chris is a FBI cadaver resource for the State of Florida, a member of NCMEC (National Center for Missing and Exploited Children) Team ADAM and FDLE CART, Orlando Region. He is an NCMEC/FBI cadaver Instructor and also holds an FDLE Instructor certification. Dep. Fred Mendiola – Deputy Mendiola has been with the Brevard County Sheriff’s Office since 2000 and a K9 Deputy since 2001 as a Bloodhound K9 Handler. Dep. Mendiola has been a Narcotics K9 Handler since 2005. He has received several awards for service with the Brevard County Sheriff’s Office to include: Law Enforcement’s Medal of Valor, J. Edgar Hoover Award, Deputy of the Year for the State of Florida through the Florida Sheriff’s Association. He is a member of NCMEC Team ADAM and FDLE CART, Orlando Region. Mac Morgan – Mac has been active in dog training since 1979, a retired police K9 Handler, Master Trainer for Sanford Police Department. Mac began training – handling Search & Rescue Canines in 1992. He served as President and director of training for the Mid-Atlantic Dog Association, President and Vice-President of the NC Search and Rescue Advisory Council; currently President of NCCERT (NC Canine Emergency Response Team, Inc.); Mac and his K9s have worked with Law Enforcement Agencies across NC and has been deployed across the southeastern US. Mac is an lead instructor, evaluator and certifier for the National Association for Search & Rescue for both people and canines and has instructed at numerous community colleges and various search and rescue seminars across the country.